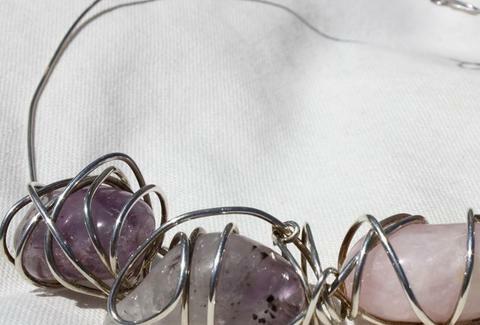 German architect/jewelry designer ME crafts one-of-a-kind, radly whimsical (but not too edgy for Mom) necklaces and bracelets. Neck pieces come in two types: chunks of semi-precious quartz, citrine, amethyst, etc, wrapped in heavy-gauge gold/silver wire, or fresh water pearls, coral, sea glass, and cat/dog charms woven together by much thinner wire; the bracelet action includes antique silver beads and bits of recycled chandelier that seem to orbit the wrist like tiny planets, but not tiny dwarf planets (Walk away, Pluto. Just walk away).